Location! Location! 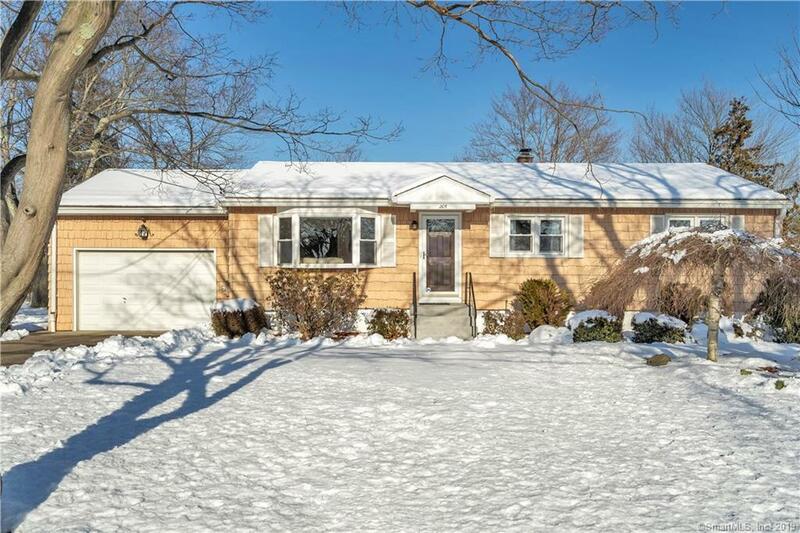 This meticulous 4 Bedroom 2.5 Bath expanded ranch style home is situated on the Milford/Orange line and is walkable to Whole Foods, restaurants, and shopping. The light and airy floor plan features a sunny Living Room, a beautifully renovated kitchen accented with custom cabinets topped with crown moldings, natural granite counter tops, breakfast bar, stainless appliances, and separate Dining Area, main level Family Room with gas fireplace which is presently being used as the MBR and includes a full bath and sliders to deck, an adjacent bedroom and half bath makes for an ideal in-law situation. Beautiful wood flooring in most rooms. The unfinished lower level is ideal for a future Game Room and does offer a built-in workbench, laundry area, and tons of storage. The beautiful park like yard has a 10 x 20 raised deck with Sunsetter awning, a lower 16x16 deck with Pergola, and an 8x20 blue stone patio between the lower deck and the house. Along the back of the property, Tumble Brook can be seen and enjoyed from the deck. Energy efficient with economical gas heat, mostly triple glazed windows, and generously insulated walls and attic. Central air, 1 car garage. Newer roof & maintenance free gutters. Also includes a whole house GE Generator and state-of- the-art LG55â 4K OLED TV, Bose theater sound system with Panasonic up-convert 4K DVD, and Yamaha receiver. A short ride to Metro North train and downtown Milford. Close to all major highways. A real gem!